Who could resist a sale advertised in such a way? Here in Peckham this is how it’s done. 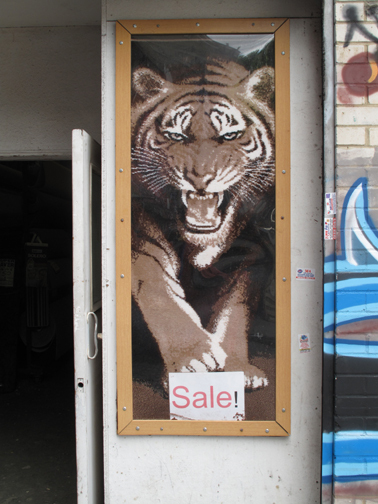 This entry was posted in Peckham, Photography, Rye Lane, street photo, Writing and tagged lion, rugs and carpets, sale. Bookmark the permalink.